God is busy, always at work to bring us to closer union with Him. 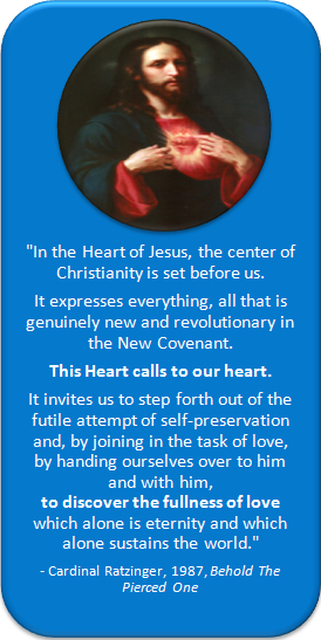 God calls us to conversion, giving us new life and new hope in Jesus. He opens our hearts and gives us gifts to serve the poor and the sick, and to come alongside the least, the lost, and the lonely. He heals people in mind, body, and soul. He provides when things seem desperate. He reaches out to the abandoned person. He teaches the art of living. He calls everyone into community. He cares for the widow. He transforms a culture of death into a culture of life. He is filling people with His Spirit. He gives spiritual gifts that build people up and make known His goodness. He loves us! He is the reason for our hope! He is the center of our faith! God is building His Kingdom, which is a civilization of love. God does this one person at a time. He does this through His People, the Church. Share your story of how God worked in your life, especially through Baptism in the Holy Spirit or stories about healing. We offer them here for the glory of God and to encourage people in faith. If you would like to share your story here, please email T.Riggins@arlingtondiocese.org. You may submit testimonies as text or video. If you would like someone to help record your story on video, please email us. Everyone has a story, and some are more dramatic than others, but all can teach us about God's immense love. In keeping with the purpose of this website of serving people through the Catholic Charismatic Renewal, please keep stories focused on what God has done in your life, in particular through your relationship with the Holy Spirit. ﻿The Gifts of God on My Heart ﻿- Terry Riggins grew in her faith and found true joy. Jesus My Savior and Friend - A young woman's journey from being dedicated as a baby in Islam, to meeting Jesus who filled her with the Holy Spirit, called her to enjoy the fullness of faith found in the Catholic Church, and remains always with her. From Hinduism to Catholicism - A couple's journey of discovering Christ and His Church with the help of dreams and a charismatic prayer group. They saw the church in their dream before ever having seen the church in person, and knew that this is where God was calling them to find Him. Click the link to read their story in the diocesan newspaper. For two years, M. had hearing problems and needed a hearing aid in her left ear, and had pain all the way from her right hip to her feet. The pain in her leg and hip had lasted for 15 years. After praying with others for healing, she her hearing problems instantly vanished and she could hear 100% without the hearing aid. At the same time, about half of the pain in her leg and hip disappeared, and she was able to walk without the walking stick! Praise God! G. had a tumor in her right knee and was often very weak especially as the day went on. However, upon coming to a charismatic prayer meeting and praying for healing, she had more energy, felt stronger, and the tumor in her right knee was suddenly reduced! For six months, T. could only raise her left arm about half way up. However, at a prayer meeting they prayed for healing and she was able to move her arm and did not have any pain! B. had pain in her shoulder and legs, pain in her joints, and tightness in the spine. She could not lift up her arms. This condition lasted for more than 5 years. At a charismatic prayer meeting when the prayed for healing, she was able to lift her arms without any pain! D. came to a prayer meeting with eye problems, and after praying for healing, was able to see better and even be able to read writing! D. had a lump in her thigh the size of a lemon for several months, with increasing pain over time. After praying for forgiveness, she suddenly noticed that her tumor had shrunk! M. had arthritis in both knees for 20 years. At a healing service, she was healed enough to be able to kneel without any pain! Thank you Jesus! A. was very dependent on her walker, and had not walked in 3 years without it or her cane. At a healing service, they prayed for healing and a man asked if she wanted to walk down the aisle. She said she did not know if she could, but he said, "Take my hand," and together they walked to the altar, something she was not able to do before the healing service! R. had back pain, weak knees, and had to walk slowly for two months. At a charismatic healing service, a lady prayed with her, and she felt warmth in her back. She was able to walk faster, and even was able to run! D. Had significant to profound hearing loss in both ears for about 40 years. After praying at a healing service, he was able to hear much better! L. had to walk bent over and had arthritis for 3 years. At a healing service, he was suddenly able to walk without his cane and even ran for all there to see that he had been healed! God has worked in amazing ways through Fr. Stefan's healing ministry. Enriching the lives of the people of St. Mary's as an excellent homilist and a storyteller with a terrific sense of humor, Fr. 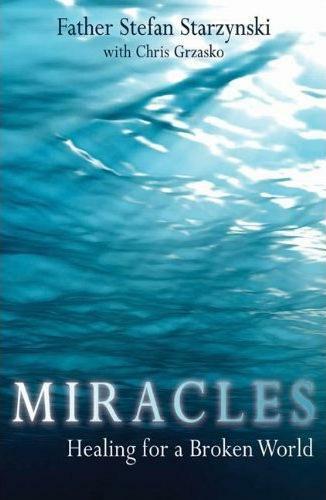 Stefan compiled several of those stories in the book Miracles: Healing for a Broken World. As founder and spiritual director of the Paul Stefan Homes for Expectant Mothers, a foundation that assists homeless women in crisis pregnancies, Fr. Stefan's life reveals how God's healing extends to all areas of life. By giving a place of refuge for women who the world has given little reason to hope, Fr. Stefan's example teaches that in Christ, hope can conquer fear; and that God is so powerful He can bring tremendous good even out of a situation that begins surrounded by fear, loneliness, and confusion. He is a living example of what Pope Benedict XVI meant in his encyclical Spe Salvi, "The one who has hope lives differently; the one who hopes has been granted the gift of a new life." Today there are numerous children alive thanks to Fr. Stefan and this ministry which is also a response to St. Faustina's prophetic call to trust in Christ's Divine Mercy. The book is available on Amazon.com, and a review was in the Arlington Catholic Herald. The story behind the book is about a leap of faith.